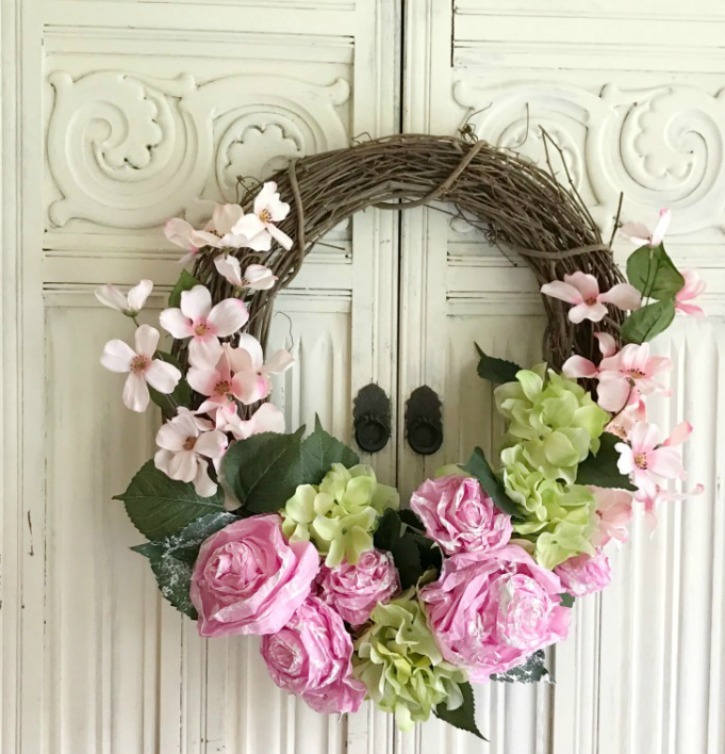 Do you want to learn how to make a easy floral wreath without hot glue? This is my DIY Tissue Paper Flower Wreath Tutorial. 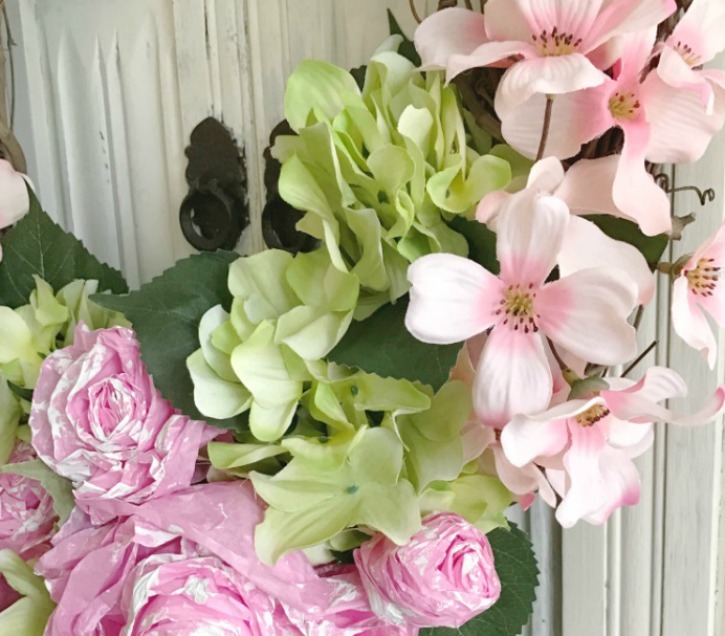 You can use faux flowers or even real ones too! I’ll give super easy and fast directions below. To get started, I want to share how to make tissue paper flowers on my blog here. These are perfect for adding on a wreath, or even making a faux bouquet. Once you choose what flowers you would like to use, then you can start placing them on your grapevine wreath. Adding Tissue Paper Flowers without hot glue is super easy when you tuck the ends snugly into the grapevine wreath. 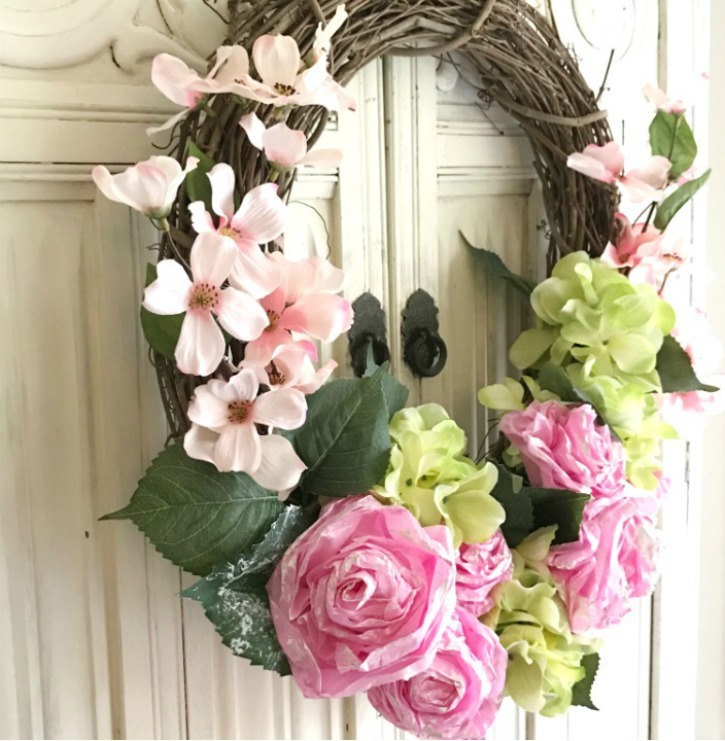 I love hanging this wreath outdoors on a lovely Spring day. 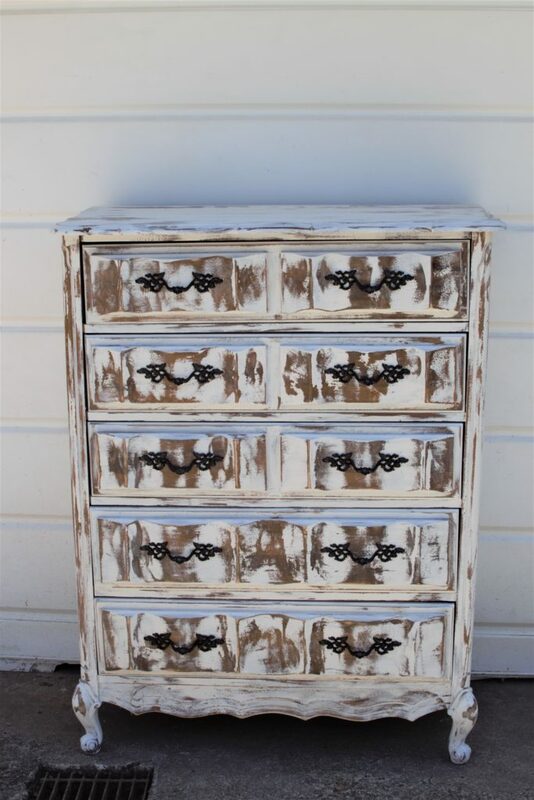 It would also be great for nurseries or a girl’s room. 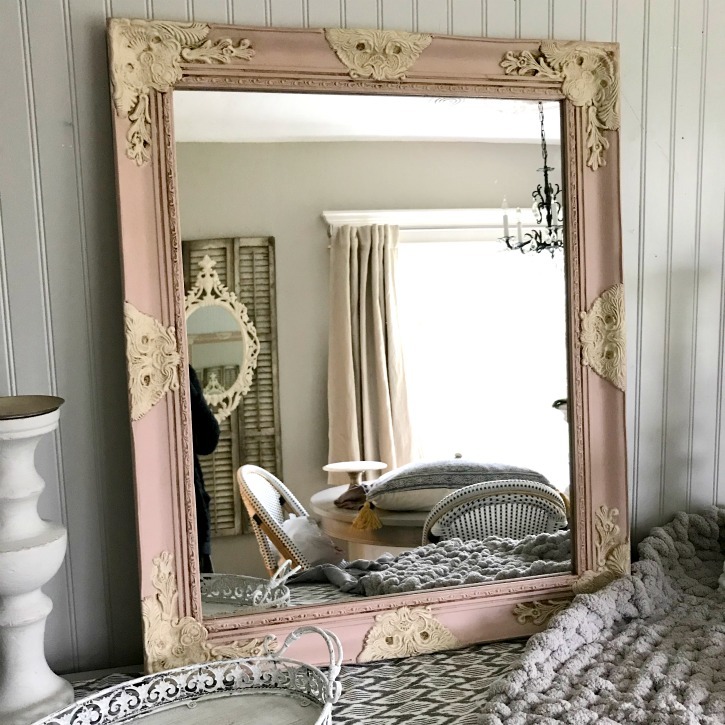 I know my girls loved having this in their room! 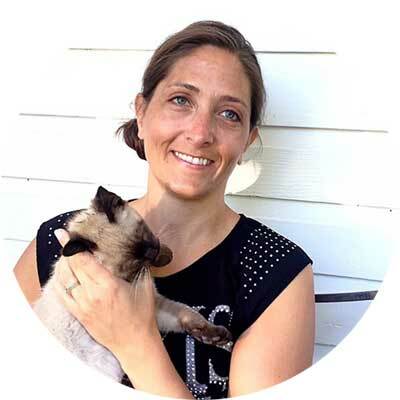 I will include some affiliate links below so you can shop some of the products I use. 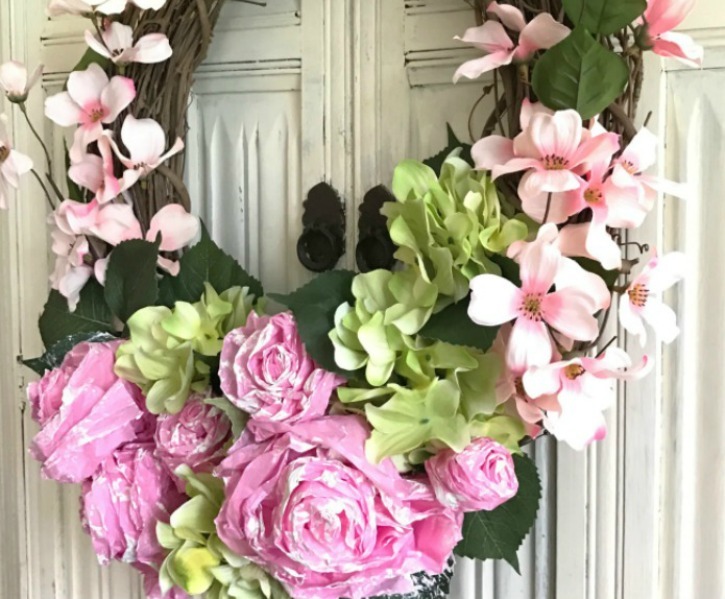 Burlap ribbon is a option when creating a DIY Paper Flower Wreath. I think a bright colored ribbon and bow would look great as well. Join my Instagram feed here for my latest creations. Be sure to check out my YouTube for some great painting tips. 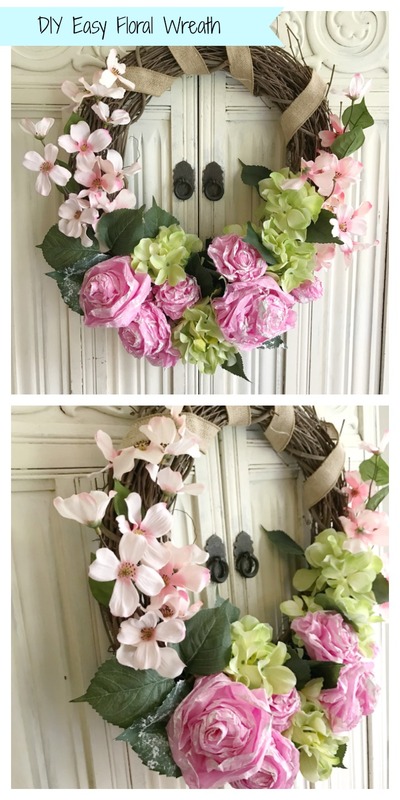 Let me know how making your wreath goes! 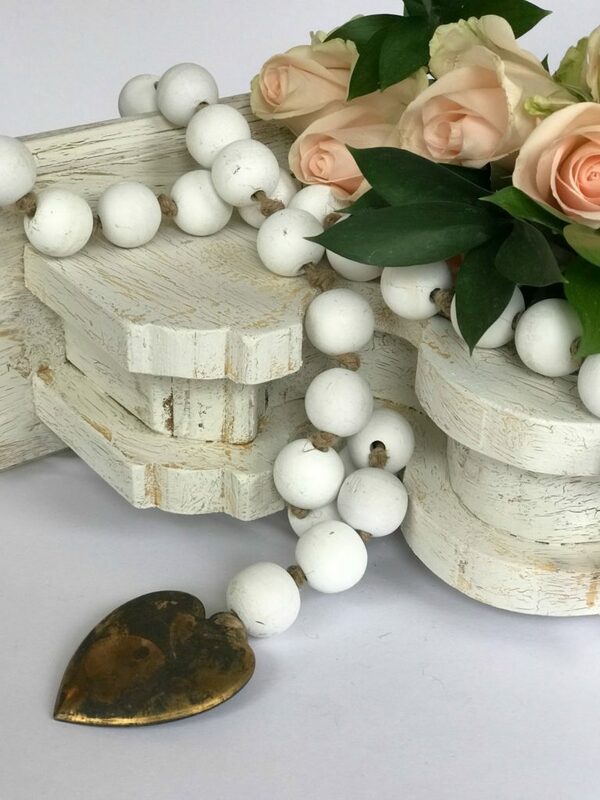 Tag me in your pictures to see all your great crafts and diys. Thank you for joining me here. Please let me know if you have any questions.